When you think about the Bighorn River, you probably think about the famous stretch of the Bighorn near Fort Smith, Montana. What you may not know is that the Bighorn actually starts in Wyoming 100 miles upstream near the small town of Thermopolis. This fishery is less known of but is better in our opinion without the traffic. 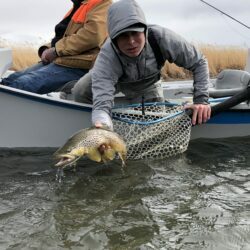 Learn more about Fly Fishing the Grey Reef section of the North Platte River in Central Wyoming. 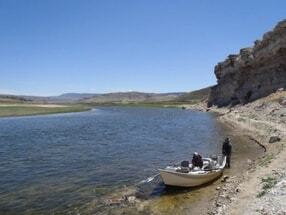 Learn more about Fly Fishing the Miracle Mile in Central Wyoming. 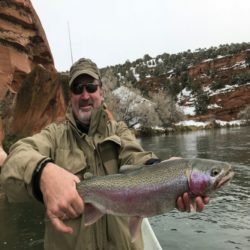 Learn more about Fly Fishing Fremont Canyon in Central Wyoming. 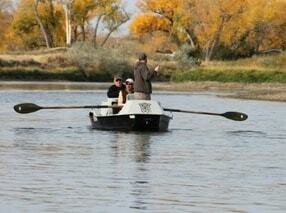 Learn more about Fly Fishing the Saratoga section of the North Platte River in Central Wyoming. 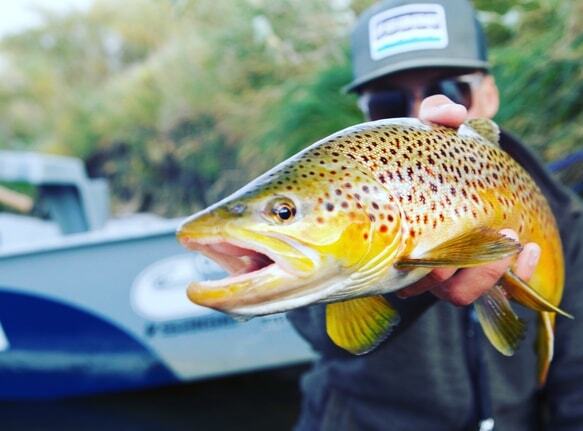 This classic dry fly stream has several long stretches of slow meandering water which holds big fish that love to eat small dries and big terrestrials. 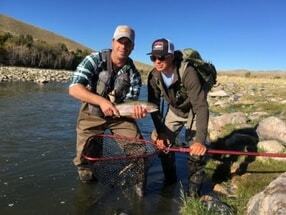 The Bighorn has prolific dry fly fishing and fish often rise in pods. 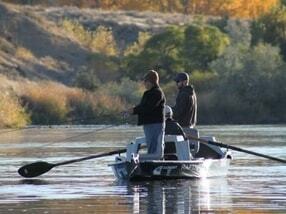 A pod of rising fish in deep water is often mistaken mistaken for a shallow riffle. 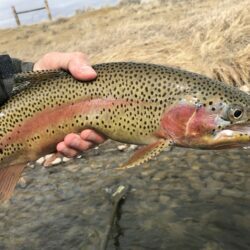 This river also has many beautiful nymph runs, and some very deep pools that hold some big fish. 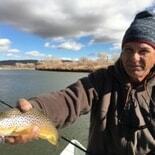 Bighorn River Seasons Thermopolis Wy.